Meet our Videographers for Napa Weddings and Events! Above you will find the best local professionals to create your Napa wedding video or event video. Please visits each artist's web site for sample work and more information about the video or film service you're seeking. 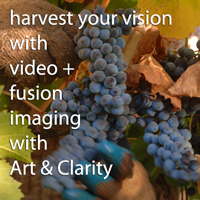 www.napaphotos.com offers this listing of photographic professionals in the Wine Country as an aid in finding the right photographer for your purpose. We do everything in our power to assure the highest standards of quality, conduct, and professionalism in the photographers who are listed here. However, we assume no responsibility for any part of business transactions that occur between purchasers, and sellers of photographic services on this site.